Bring that brightness back to your eyes with The Moms Co. Natural Vita Rich Under Eye Cream. Formulated using the best natural ingredients such as coffee oil, chia seed oil and organic chamomile oil, this natural eye cream is rich in in vitamins B3, B5 and E. This eye cream reduces dark circles, fine lines and puffiness. 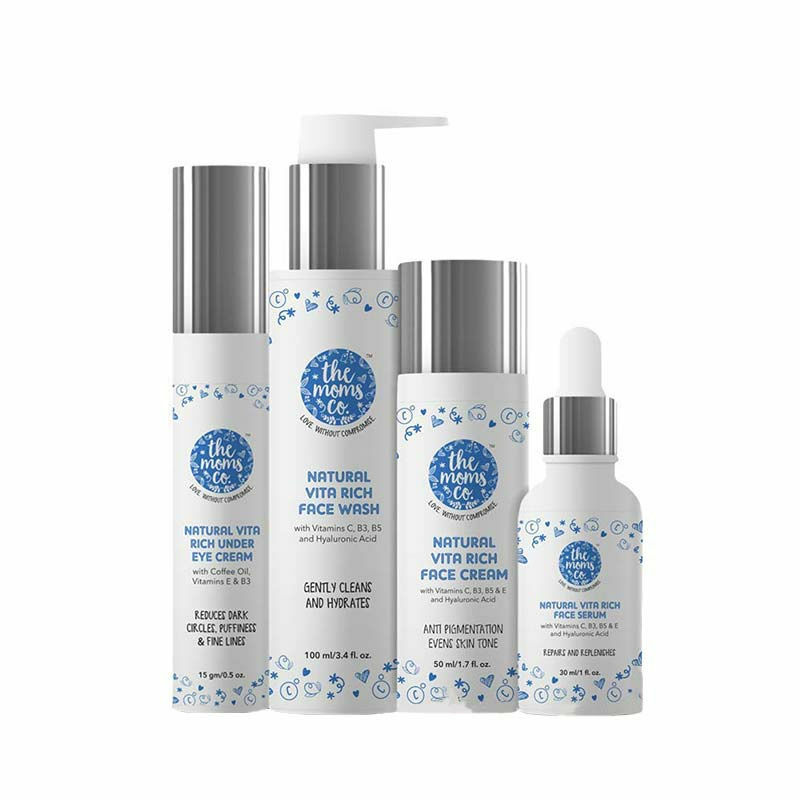 For best results, use daily with The Moms Co. Natural Face Wash, Face Cream and Face Serum. About the Brand: The Moms Co is on a mission to help mothers make safe, natural and effective choices for themselves and their families. All The Moms Co. products are developed and tested with the help of the best experts across India, Australia and Switzerland. The Moms Co. lives by its nature in-toxin out'philosophy by sticking to only the most effective natural ingredients for its products. All its products are clinically tested, Australian certified toxin-free, made safe and Australia allergen certified so you know you are always getting the safest, natural best for yourself and your baby. Look your best everyday with The Moms Co. Natural Vita Rich Face Serum! Formulated using vitamins C, B3, B5 & E, hyaluronic acid and soybean phospholipids, this serum penetrates deep into the skin to hydrate, brighten and help reduce pigmentation and fine lines. It replenishes the skin and corrects uneven skin tone using the best natural ingredients such as primrose oil, chia seed, hyaluronic acid and soybean phospholipids. For best results, use daily with our Natural Face Wash, Face Cream and Natural Under Eye Cream. Got no time to invest into an intense CTM routine every day? 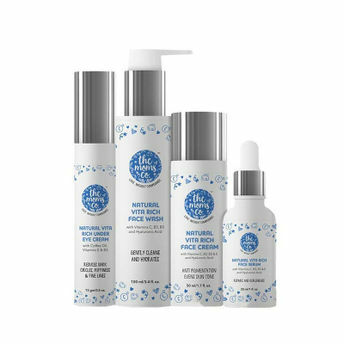 We, at the Beauty Book team, tried our hands on this natural face care kit and here's the verdict: IN REVIEW: THE NATURAL VITA RICH FACE CARE RANGE BY THE MOM'S CO.